Vegan / Vegetarian Chia Seed Oil, Cold-pressed, Unrefined. 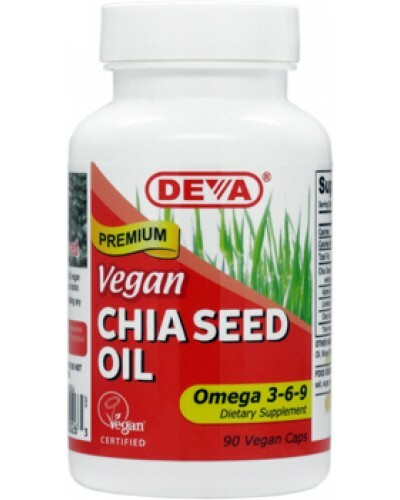 Chia seed oil comes from the Chia seed, commonly used on the novelty item, the “Chia Pet™”. It has substantial nutritional value for those who choose to eat the seeds or drink the oil that comes from the seeds. Chia seed has been known for its nutritional properties for centuries, when it was used as a staple food by Native Americans of the Mexico and the American Southwest. The Chia Seed oil used in our product is organic, cold-pressed & unrefined and it comes in vegan capsules that are made from plant cellulose instead of the commonly used gelatin. 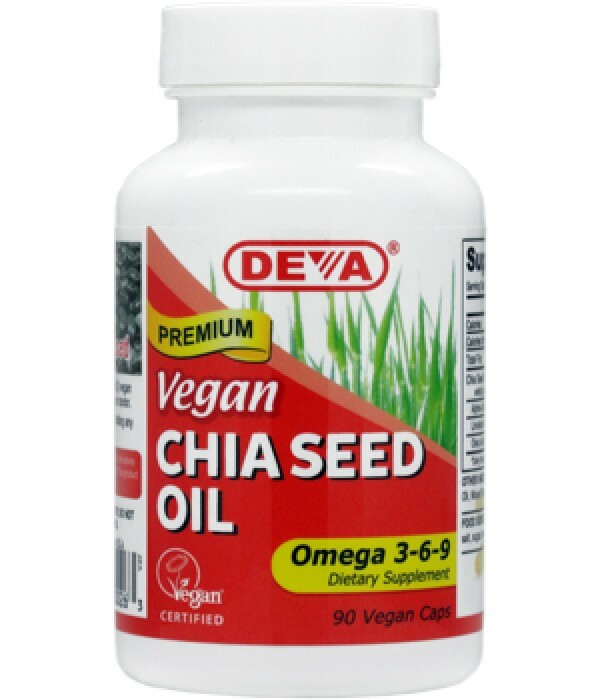 DEVA Chia Seed Oil is 100% animal free, and guaranteed for purity, freshness and labeled potency. Remember all DEVA Products are 100% vegan, vegetarian and are registered with the Vegan Society, the non-profit organization that actually invented the word "vegan". For adults, take two (2) vegan capsules daily with food or as directed by a health care professional. Free of yeast, wheat, gluten, starch, sugar, salt, hexane, dairy, egg, fish, artificial color; animal products, byproducts or derivatives.